O N I G E G E W U R A: Asiwaju Is 66 Today! "We must examine very deeply this idea of "Turn by Turn Nigeria Limited", when it comes to the aspiration for political offices particularly the Presidency. Does such a policy honestly do Nigeria well or is it a boon for a select few? Instead of promoting harmony, it is a source of conflict and disharmony. Constitutionally, every Nigerian has a right to aspire for any office, irrespective of religion, place of origin or political preference. Mandatory rotation of positions is an affront to democracy and places us further down the road of selection rather than election. It exalts mediocrity and access over talent and worth. I would rather we install in an important office a decent and able man from another region than a cruel and incapable man from my own family." 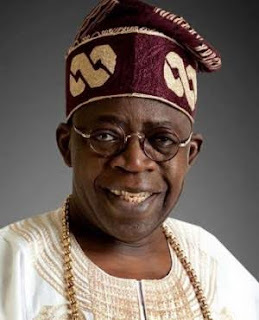 Happy Birthday to Asiwaju Bola Ahmed Tinubu, long life in good health. Either you like him or hate him, Bola Ahmed Tinubu(BAT)is a man of history. At this particular time he is on a mission.We wish him happy birthday. Kudos to Onigegewura. Ashiwaju the one to whom i have given the right to my political decisions. Babatola Apata – Four Years Like Yesterday!